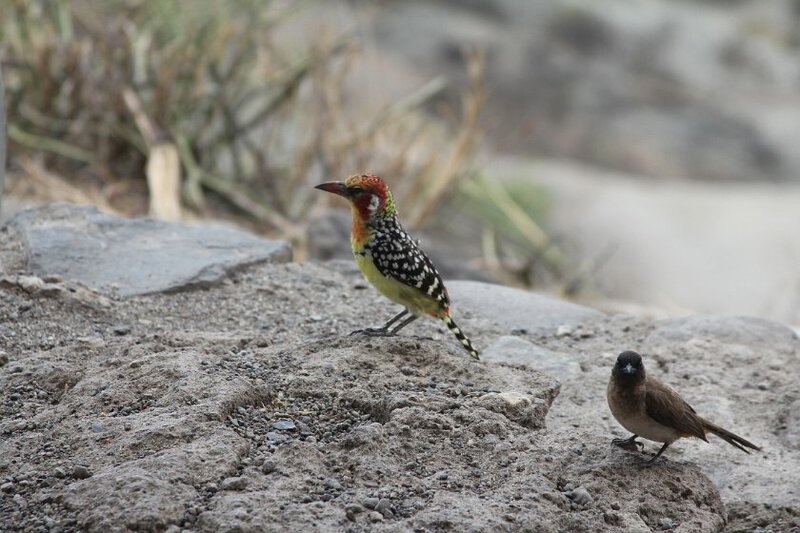 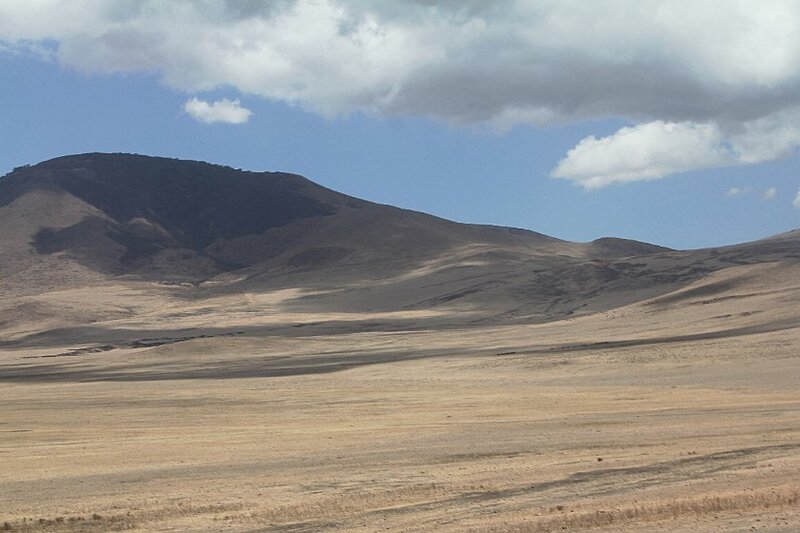 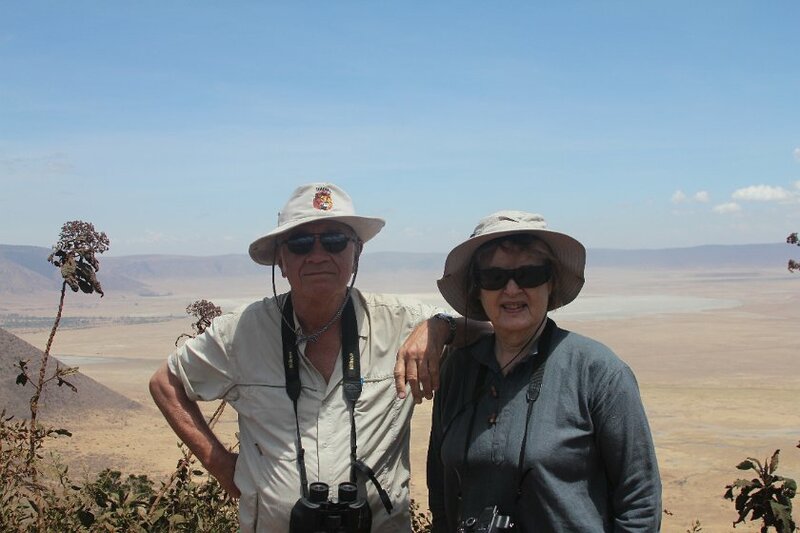 We drove from Mto wa Mbo and through the jungle up to the crest of the Ngorongoro Crater. 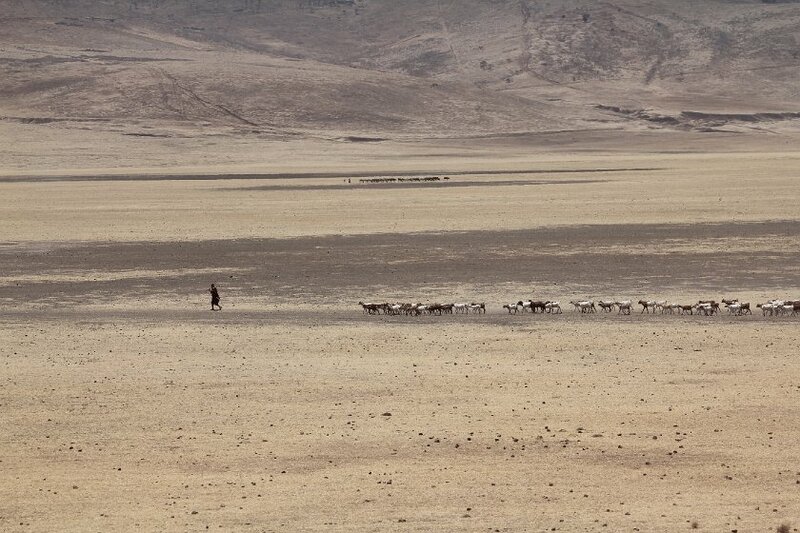 That is an amazing sight, but perhaps not much more so than the enormous Malanja Depression one crosses shortly afterwards. 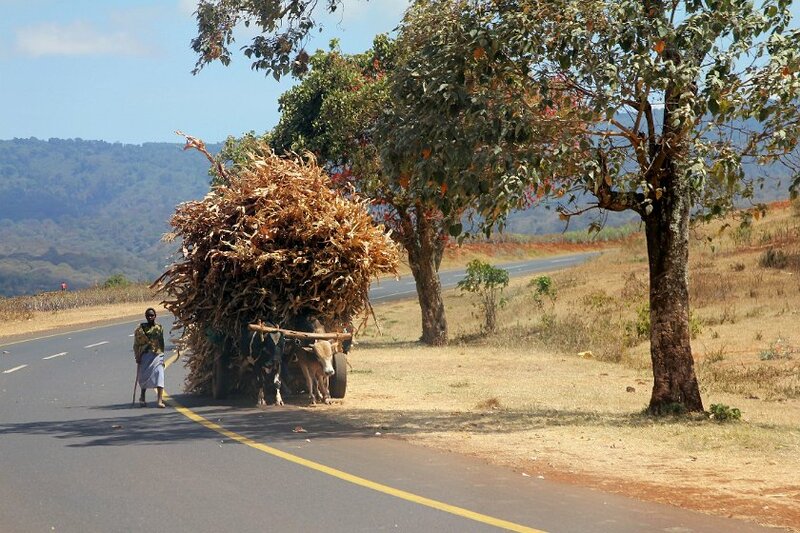 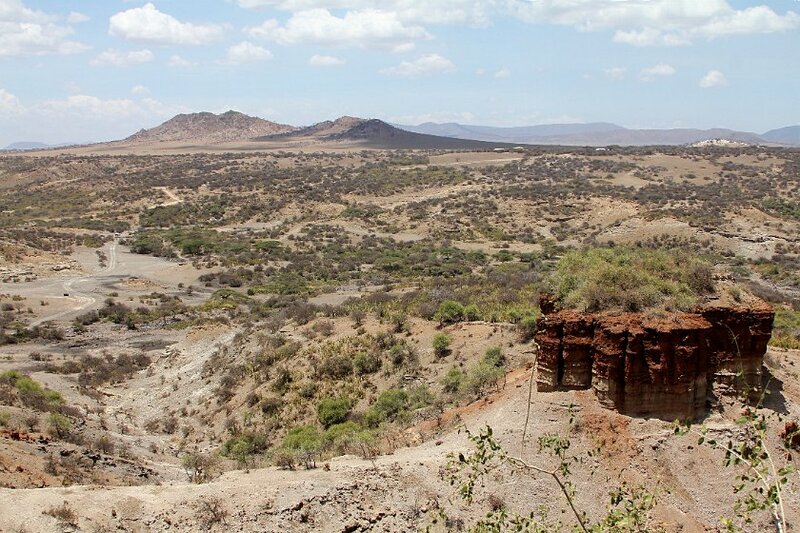 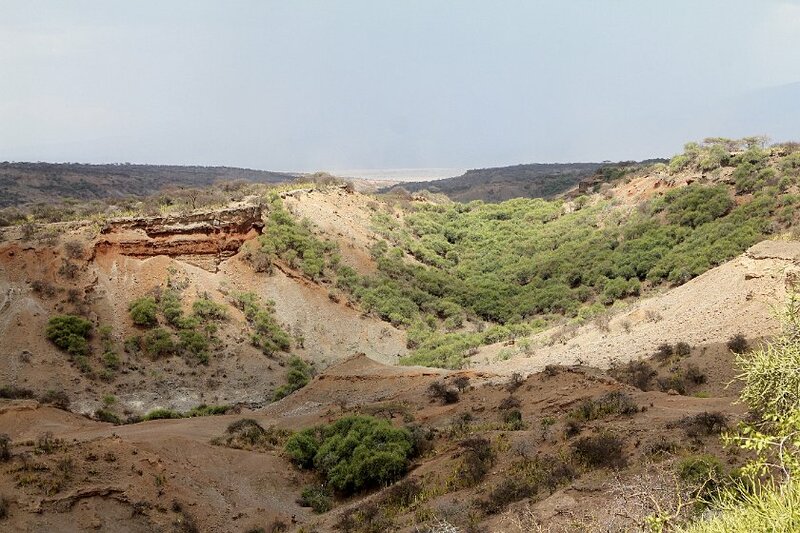 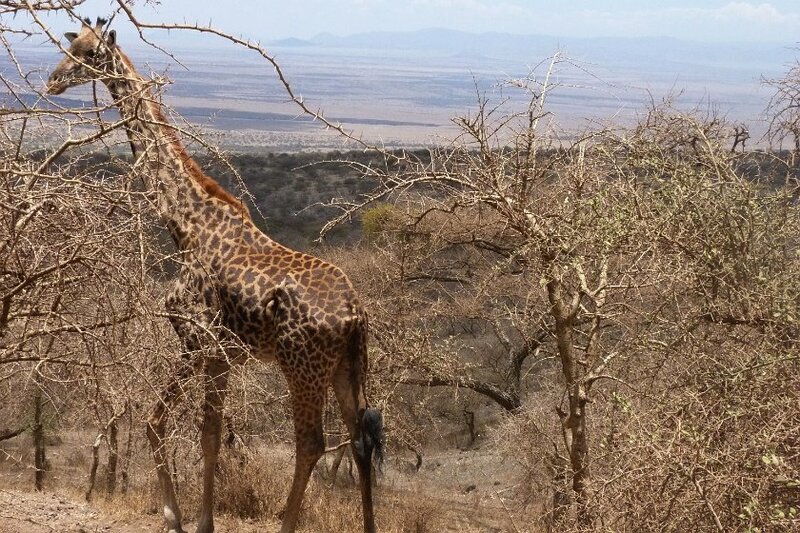 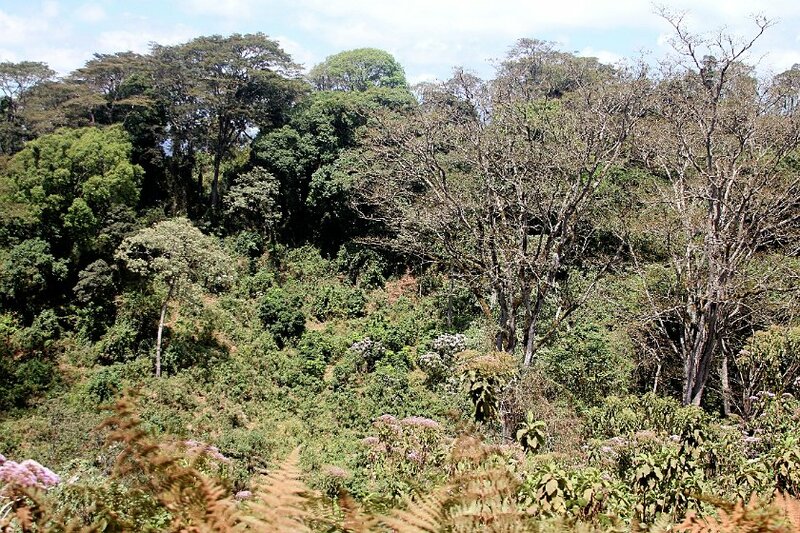 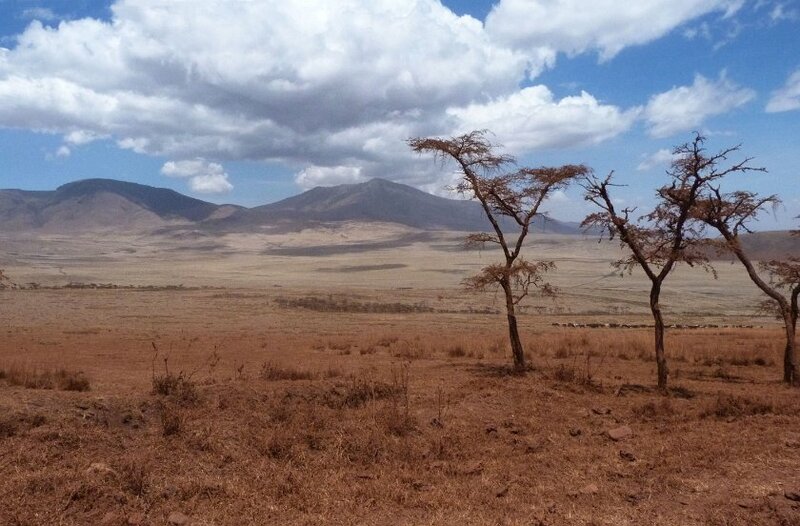 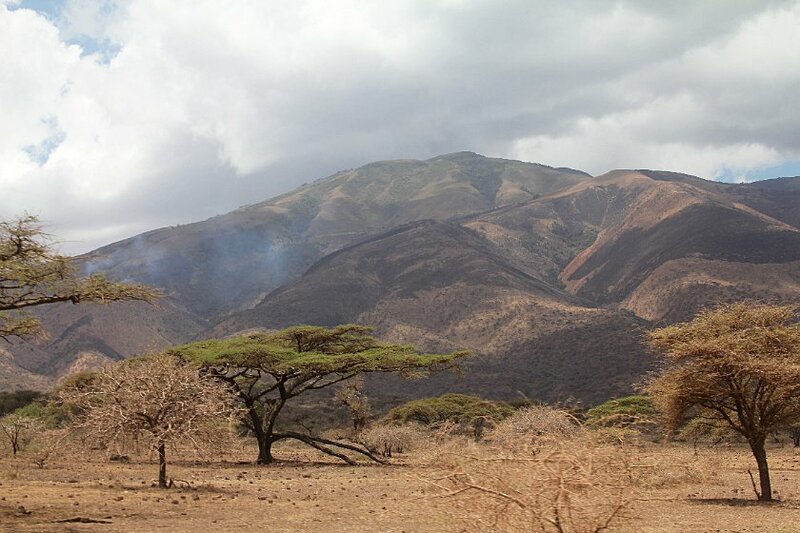 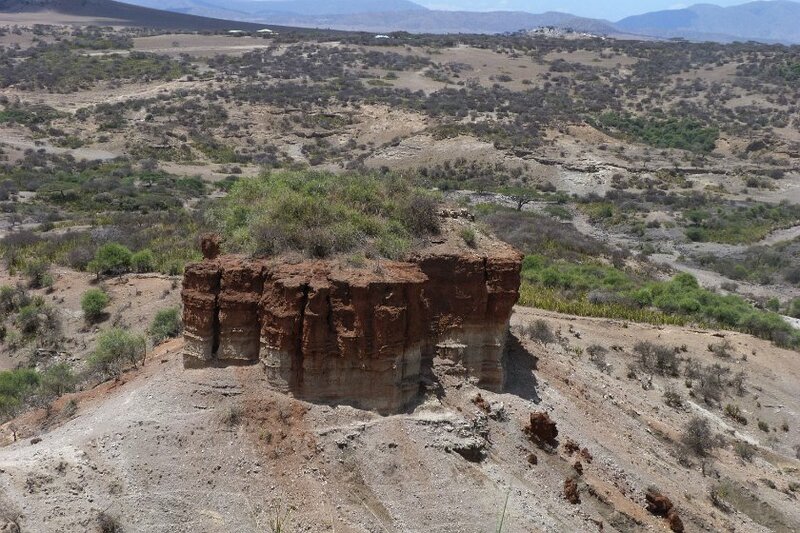 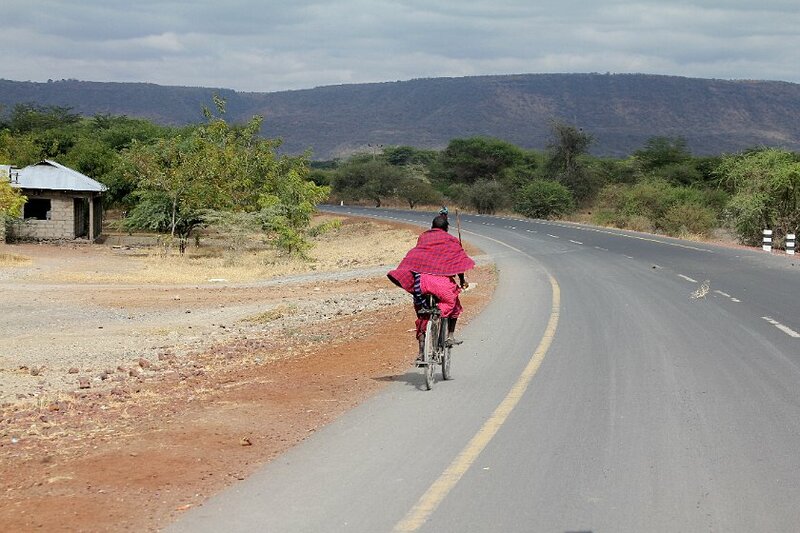 2 Manny said some travellers thought this part of Tanzania reminded them of Tuscany! 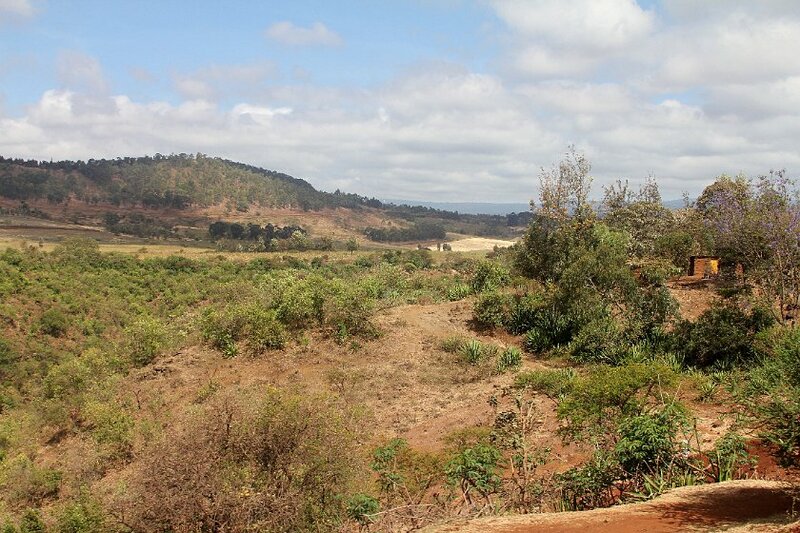 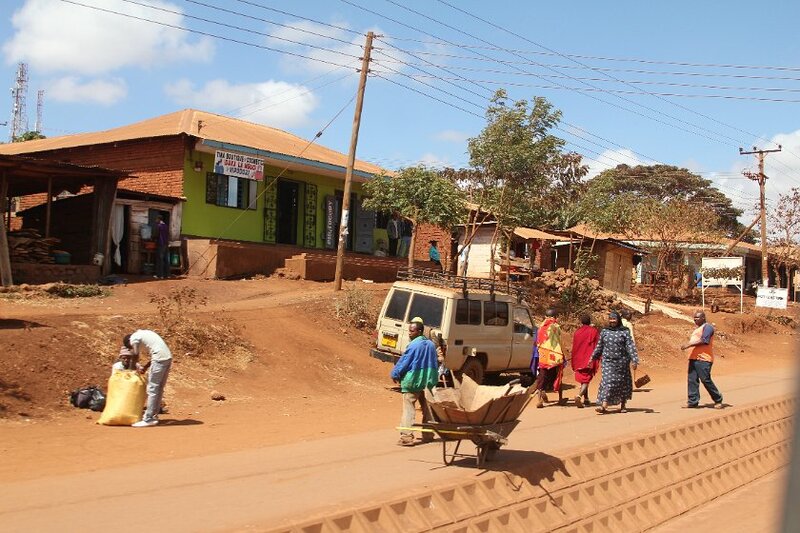 4 Karatu is mostly spread out along the highway. 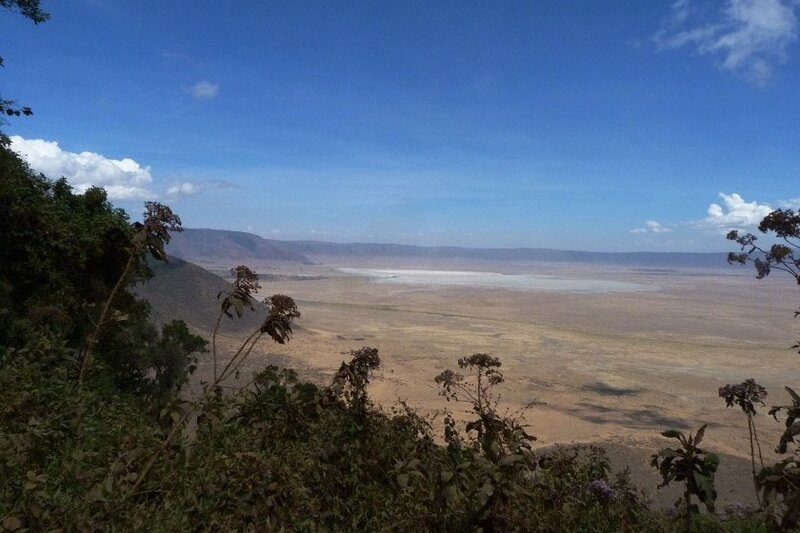 7 On the way to Serengeti, we stopped to admire the Ngorongoro Crater, with nearly dried-up Lake Magadi. 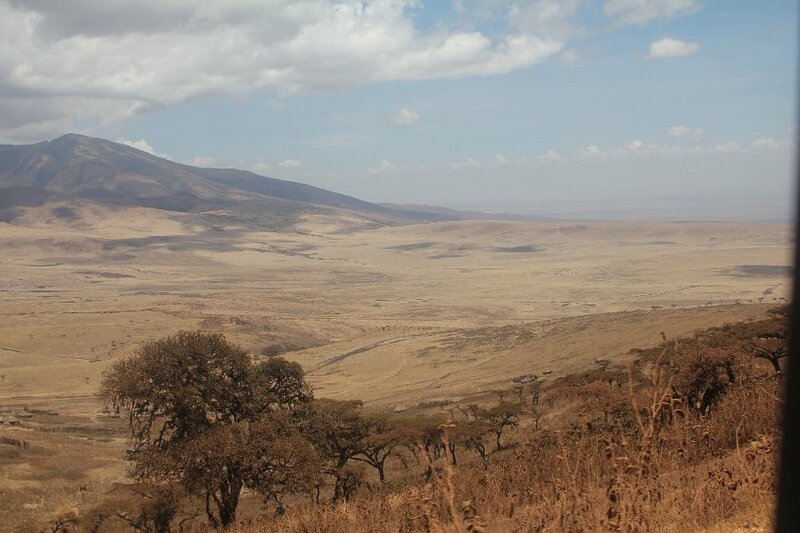 9 The drive from Ngorongoro to Serengeti is almost literally fantastic, crossing the enormous Malanja Depression between the mountains. 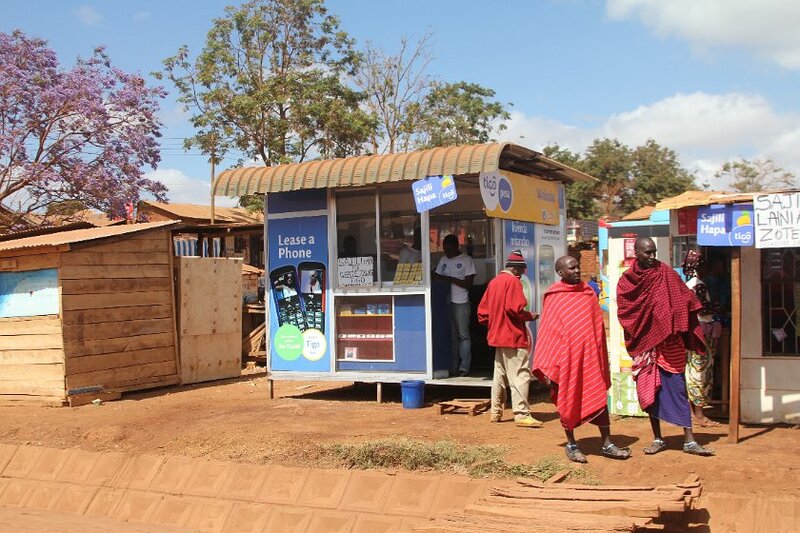 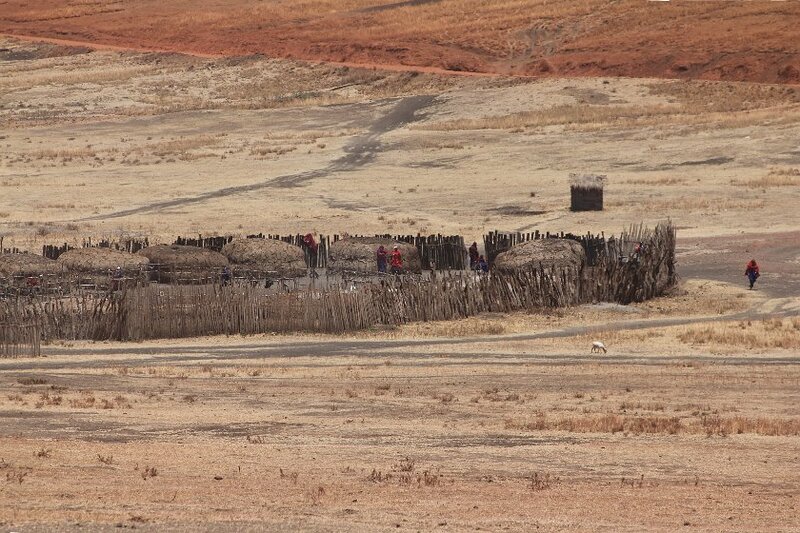 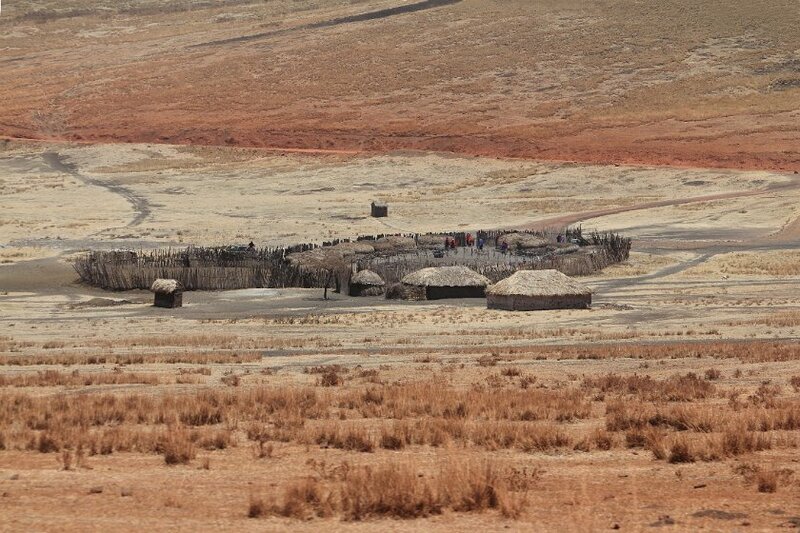 13 The boma is surrounded by a wall to protect the residents from lions. 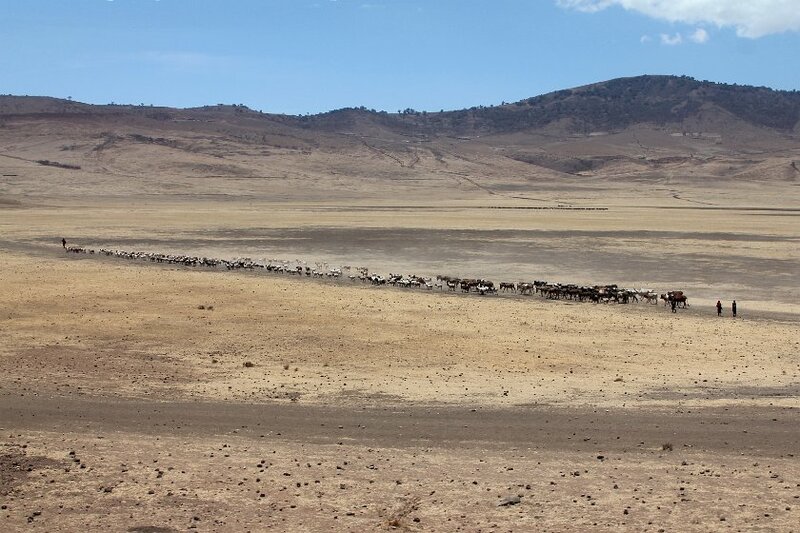 15 This huge herd of cows is almost lost in the vast landscape.